Making your own breakfast sausage can be so simple! 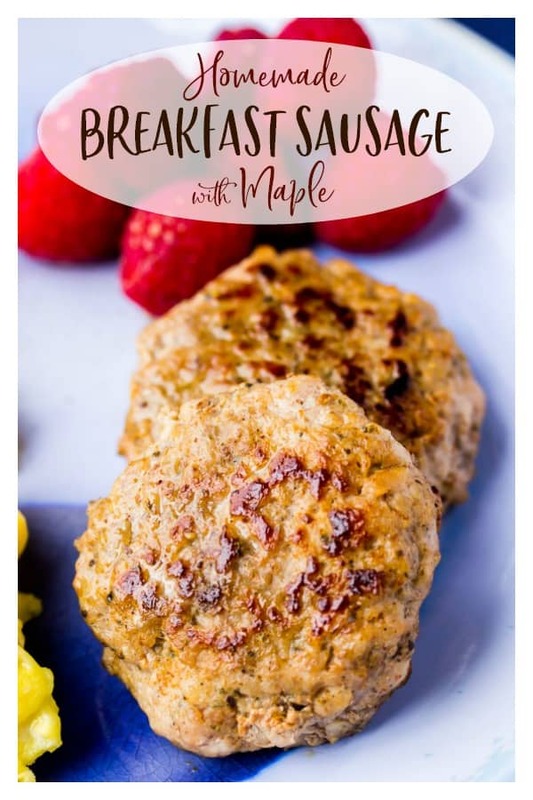 This Homemade Breakfast Sausage recipe is made with ground pork, maple syrup, and pantry staples! There are also suggestions for how to make this recipe keto-friendly. I don’t like sausage. There, I said it. And, it’s true. But, not because I don’t like the taste of sausage. It’s more that I don’t like not knowing exactly what’s in it. The only remedy I could think of was to simply make my own. I knew some common seasonings for sausage, but I did a little research and added a few more spices to this recipe – plus maple syrup! Whenever I have had sausage, I always preferred the varieties flavored with maple or would dip plain sausage into maple syrup. It turns out that making your own sausage is super simple. All you need is ground pork, pure maple syrup, and some common pantry items. Sage is often found in sausage, so this recipe uses plenty. I also added nutmeg and allspice to compliment the sweetness of the maple syrup. There is no egg, flour, or other additives in this recipe. 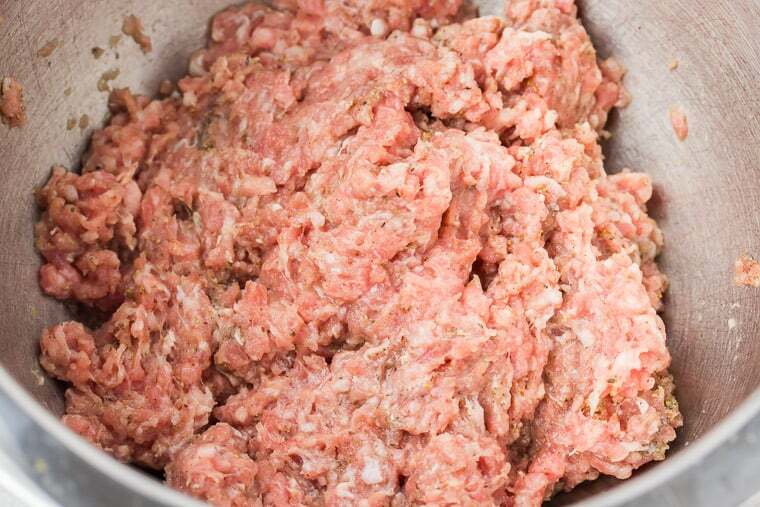 You know exactly what’s in your sausage (to a degree depending on if you use pre-ground pork or ground your own). This recipe is naturally gluten free, low carb, and can be made keto-friendly. It only takes 20 minutes to make your own sausage and can be served alongside all of your breakfast favorites. There really isn’t any prep work to do for this recipe, so long as you’re already using pre-ground pork. 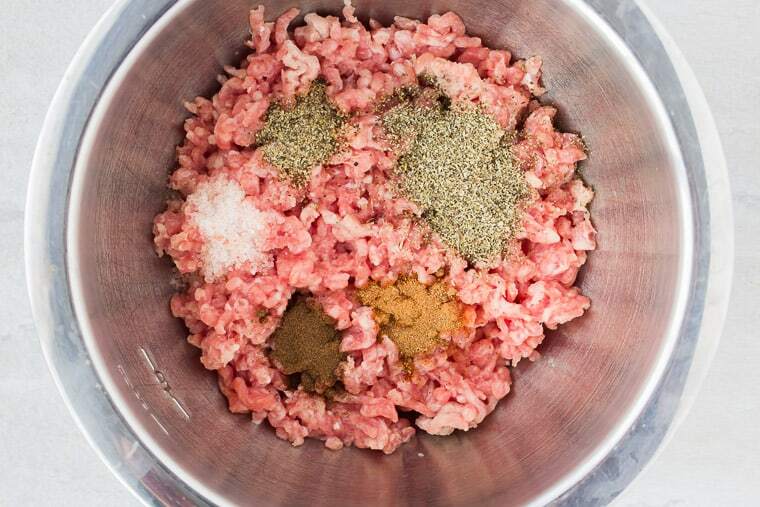 Combine the ground pork, sage, salt, pepper, nutmeg, and allspice. Pour in the maple syrup. 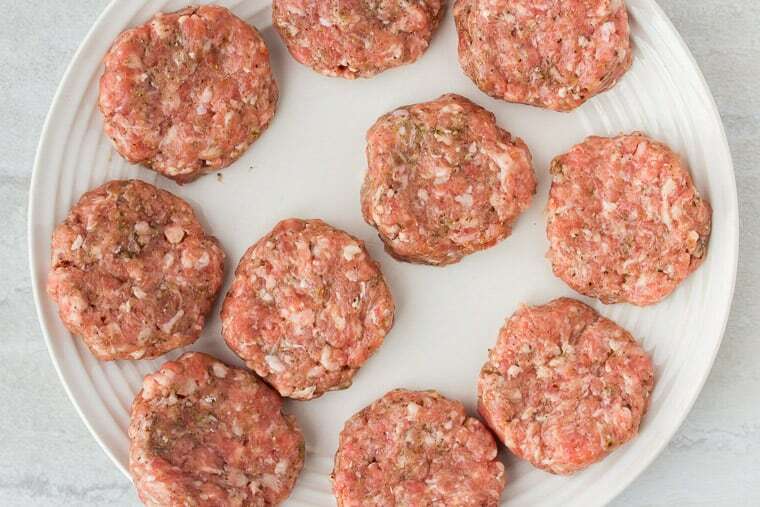 Form the sausage mixture into 10 round patties. Heat the olive oil on medium heat in a large skillet. Add the sausage and cook for 3-4 minutes per side. You may have to work in batches. Remove to a paper towel to absorb excess oil before serving. For the best maple flavor use pure maple syrup (unless you are following a low carb or keto diet, then see the next tip). To make this recipe keto-friendly, use a keto-approved maple syrup. Store any leftover sausage in an air-tight container in the refrigerator. Use within 5-7 days. What is the difference between Italian sausage and breakfast sausage? The biggest difference between these two types of sausage is the spices used. While breakfast sausage typically features plenty of sage, Italian sausage uses fennel among other spices. 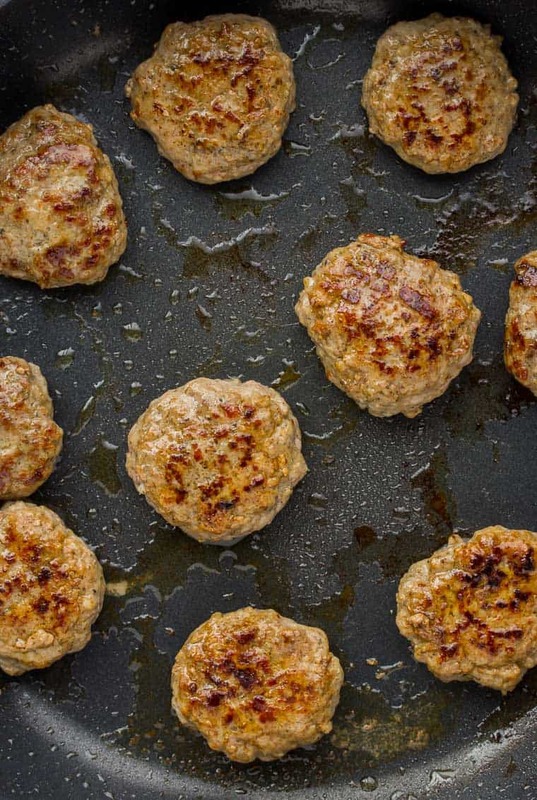 Can you make homemade sausage with ground turkey? Yes, you can make this recipe exactly the same way but replace the ground pork with ground turkey. 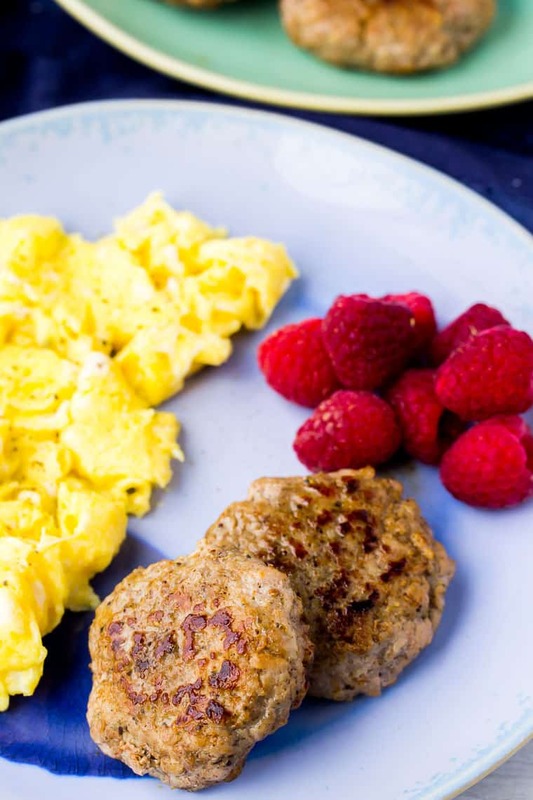 Love this Homemade Breakfast Sausage recipe? Follow me on Pinterest, Instagram, and Facebook for more! 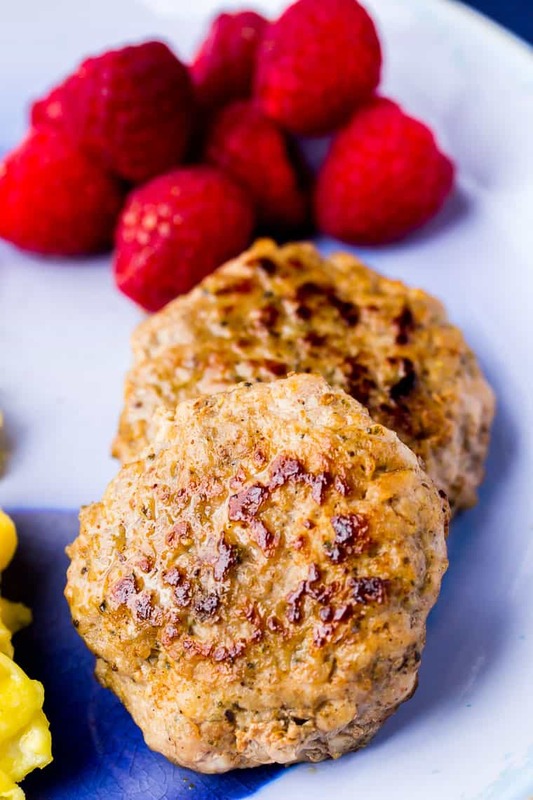 Making your own breakfast sausage patties can be so simple! This Homemade Maple Pork Sausage is made with ground pork and pantry staples! 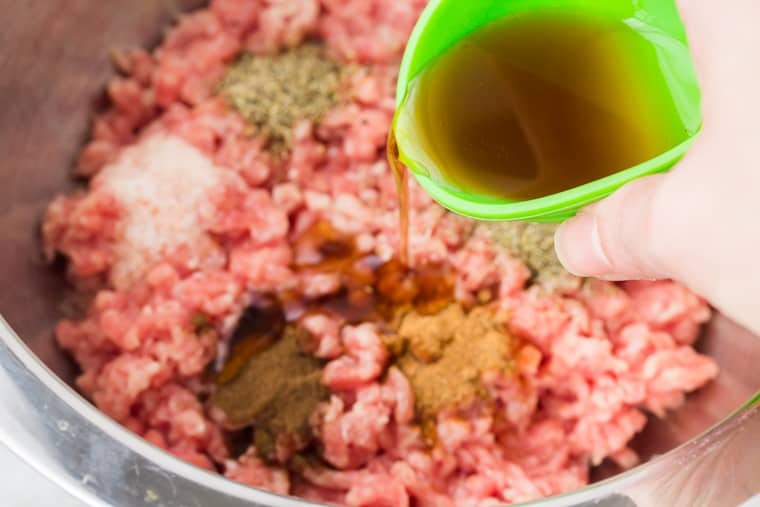 Combine the ground pork, sage, salt, pepper, nutmeg, allspice, and maple syrup in a medium bowl. Mix gently to combine. Heat the olive oil on medium in a large skillet. Add the sausage and cook for 3-4 minutes per side. You may have to work in batches. This recipe was originally posted on February 28, 2018. It was updated with more thorough tips, techniques, FAQ’s and images in April 2019.